The Unlidded Eye is where everyone can see all of the transgressions and crimes they have committed during their lives. 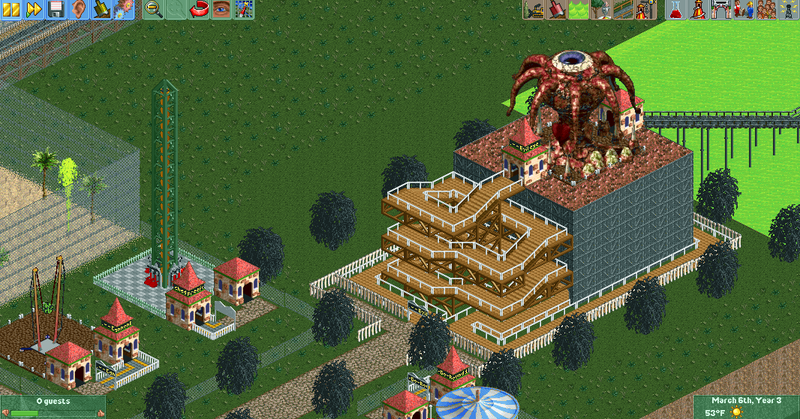 A Rollercoaster Tycoon player has created a horrifying trial for their park attendees. Only those who find enlightenment will escape. For some reason, people love to use Rollercoaster Tycoon as an elaborate torture device. 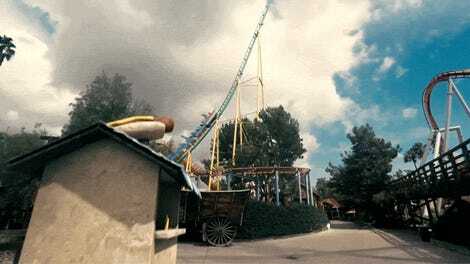 We have ‘coasters that are so long that riders die of starvation before the loop finishes. The same player created The Wheel of Life and Death, an impossibly long ‘coaster that is meant to accomplish, well, something. There’s a maze that takes more than 200 years to complete. And, of course, there are hundreds of videos that show off the weird ways that the three games in the franchise allow you to use theme park rides as machines of death and destruction. These are violent video games. The Path of Enlightenment in its entirety. Reddit user arthenc, however, has transcended torture in order to approach enlightenment in their “The Path of Enlightenment.” Presented as a series of images in a gallery, arthenc’s entire park is a spiritual journey that park visitors either make their way through or are broken upon. The entire park is a linear set of rides that the game’s visitor AI has to slowly make its way through, and it includes a very long hedge maze that represents confusion and a vast icy wasteland that the visitors have to wander whilst looking for solace. It’s worth reading through the entire gallery to get the full story of the park as well as some narration about the beings who made their way in and out of the nightmare. There’s even a good surprise at the end.